Stories from recovering and former gaming addicts reveal their struggles: friends who tell them it’s not a real addiction; parents who aren’t sure there’s anything they can do, or think that because their grades are good, the problem isn’t serious; recovering drug addicts in support groups who can’t sympathize; or experts who tell them it’s an exaggeration. Sometimes the gamers themselves aren’t aware they have a problem, until one day they notice they’ve been depressed to the point of suicidal thoughts and haven’t left their room for who knows how long. Video game “addiction” has long been used in a colloquial sense. 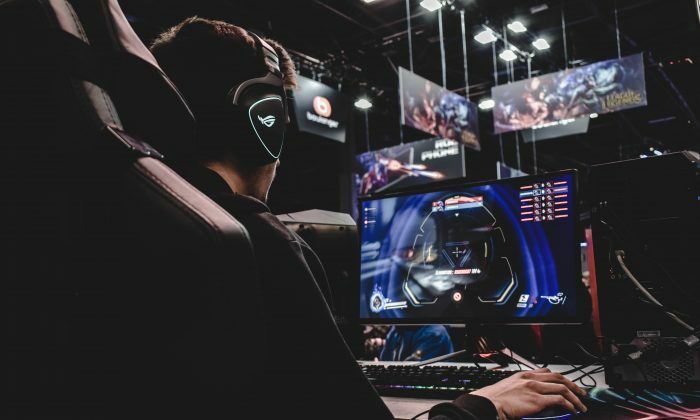 But it wasn’t until 2018 that the World Health Organization (WHO) included “gaming disorder” in the International Classification of Diseases, after four years of active study. This came after a slew of high-level Silicon Valley developers and executives confessed that they limit access to devices in their own homes, and revealed the persuasion tactics built into tech. Around the same time, the tremendous popularity of the online game “Fortnite” made headlines, followed by stories of supposed addicts ruining their lives. Interest in the dangers of such entertainment has been piqued, but some researchers are worried studies aren’t comprehensive enough, and healthy people who enjoy video games counter it’s all fearmongering or moral panic. But while we debate, people who say they need real help can fall through the cracks. Dr. Vladimir Poznyak, who works in the mental health and substance abuse department of WHO, explained in a video that there are very specific guidelines to determine what constitutes an actual addiction to video games. According to WHO’s guidelines, a person is considered to be addicted if he or she experiences “impaired control over gaming,” meaning that even if the person wants to stop, he or she can’t seem to do it. Additionally, these people find that gaming takes precedence over other daily activities and interests, to the point where they are distressed and not completely functional, and yet they still can’t change their behavior. This might mean they’ve dropped other hobbies and interests to make more time for gaming, damaged their relationships, regularly skipped meals, slept sporadically, and continued these behaviors even when they’ve realize their physical and mental health was suffering—typically resorting to deceit to do so. WHO states that, in most cases, this behavior should be observed for 12 months before a diagnosis can be made, and such a diagnosis should only be made by a health professional with relevant expertise. The majority of people who use the internet or play games likely are not addicts, but dismissing it as not being a “real” problem doesn’t help. The WHO designation was made so that those seeking help can find it and get treatment through their health insurance, and so that more research in this field would be done. People tend to play video games for the social connection and measurable progress that satisfy our innate need for competition, and to create a sense of purpose. These call all be good things—except games exploit this human need as a vulnerability to keep you coming back for more. If someone doesn’t have other outlets to meet these needs, he or she might turn to the attractive immediacy of games, until eventually the overstimulation renders real life too unexciting, erodes willpower, and creates a compulsive habit. In 2013, anthropologist and author Natasha Dow Schüll’s book “Addiction by Design” revealed the manipulative, dark side of how machine gambling in Las Vegas is designed, and how models are constantly refined to maximize their impact on behavior, the goal being to get gamblers to spend more than they originally planned to. Not long after Schull received acclaim for the exposé, she began receiving invitations to speak on the topic, especially to marketers and entrepreneurs who were interested in adopting these approaches for their products, to nudge users to certain behaviors. Whether it’s a tech giant like Google, or a small, independent educational app developer, their goal is to attract users’ attention and then keep it. Behavior design has become the norm. Advertising and propaganda have existed long before the internet, but this school of “behavior design”—creating machine-compelled habits—is usually credited to B.J. Fogg, the founder and director of the Behavior Design Lab at Stanford University. In an interview with The Economist, Fogg said that during his graduate studies, he discovered the classics and had an epiphany while reading Aristotle’s “Rhetoric”—he realized that the art of persuasion would one day be implemented in technology. He has been presenting his findings since the late 1990s, and his former students include Nir Eyal, who wrote the popular book “Hooked: How to Build Habit-Forming Products” and gives seminars on the same topic, and Mike Krieger, who went on to co-found Instagram. Another is Tristan Harris, who eventually founded the Center for Humane Technology to spread awareness about behavior design, after he gained little traction in trying to implement design ethics in his former position at Google. If even the most utilitarian of programs and platforms now implement such design, you can imagine how the effect is multiplied when applied to entertainment such as games—miniature worlds where you can see measurable and immediate progress for your efforts, where you can win, where it’s safe to fail because there are seemingly no real repercussions, and where the program feeds you “random” bonuses to keep you feeling lucky after a losing streak. Think, for instance, about the fact that the average American checks his or her phone 80 times a day, or an even more often in the case of teens. Is the slot machine-like action of pull-to-refresh something we really want to be doing a hundred times a day? The vast majority of teens have smartphones now, and in a 2016 survey of 620 families by Common Sense Media, more than 50 percent of teens said they felt addicted and almost 80 percent said they felt the need to respond instantly to messages. A 2010 survey by the Kaiser Family Foundation found children aged 8 to 18 spent 7 1/2 hours in front of a screen each day, up 20 percent from five years prior. That data is now nearly a decade old—2007 was the year the iPhone came out, and 2016 was the year device use in the United States hit a peak and started to plateau. People with fulfilling hobbies, jobs, and relationships aren’t immune. “Fortnite,” for instance, proved so distracting that some pro-athletes had to institute a ban. A UK divorce service reported petitions increasingly citing the game as a reason for the end of marriages—200 in 2017. Cam Adair is the founder of Game Quitters, the world’s largest support community of its kind, which he began in 2014 to help others struggling with what he went through himself. He estimates the average gaming addict spends at least 25 hours per week on gaming, and another 25 hours on other internet activities, which can have a similar pull. It may be worth noting that using social media, which has been gamified for teens, can lead to similar negative symptoms. Experts have said that gaming addiction overwhelmingly affects males, but the suicide rate for teen girls—the main demographic on Snapchat and Instagram—has spiked, tripling for girls aged 12 to 14 from 2007 to 2015. Inoculating oneself by being aware of such manipulation may only go so far. Venture capitalist and former Mozilla CEO John Lilly told The New York Times that he’s explained to his son how technology influences behavior. Compulsive checking of your phone is one thing, but it becomes a disorder when someone has fallen into depression and maybe even desperately wants to stop, but can’t muster up the wherewithal to begin. Rehab centers are popping up specifically for gaming disorder or internet addiction, and some therapists may specialize in this, but the vast majority of people will probably not start there. For many people looking to quit, it’s hard to tell whether their depression caused the addiction or the other way around, and both issues deserve treatment. Some people seek out therapy first, and some come to use therapy later. In either case, they should define why it is they are gaming in the first place, and then find things they can do in place of video games to meet those needs. It may help to document the reasons clearly, as a reminder when motivation for staying the course is necessary. It’s also necessary to find an immersive hobby to keep active and not struggle with boredom. This could be learning a new skill or committing to a job to challenge yourself and as a way to see measurable improvement. Some recovering and former gaming addicts turn the lessons they’ve learned about games into methods for breaking the habit, gamifying the recovery process by scheduling, organizing, and breaking down goals until they can set higher levels of achievement. Adair has found that many gamers may feel trapped and unhappy, but also feel like they somehow need permission to quit—from, say, a parent or an authority figure. But really, they can give themselves permission, and with that realization comes the understanding that they have the power to motivate themselves to continue to quit, as well. Adair, who has gotten thousands of messages daily since he first opened up about his story in a blog post in 2011, says there’s a reason so many of these people are young men in their late 20s and 30s. Most of the gamers he’s talked to actually started gaming at age 9—and today he’s seeing them start as toddlers. Gaming can then become an ingrained habit or dependency, but because of the structure of school and home life, one may not experience a downward spiral until he becomes a young adult and starts to live on his own. About 80 percent of college students are gaming, but those who go on to develop a disorder usually don’t notice it until they’re out of college and suddenly realize how far behind in life they are compared to their peers. Adair thinks it’s important that young gamers understand addiction can become a real thing. Studies have shown that for babies and toddlers, there’s no measurable benefit to any screen use, and it’s likely to have negative effects. For older children and teens, many studies show that there aren’t any effects from having an hour per day of screen time, and the negative effects really only start to show up after around the two-hour mark. Many parents may want to curb digital device use in general for younger children, in which case experts across the board recommend setting very clear boundaries: when and where it’s okay to use devices, and for how long. Parents need to be firm in any rules they’ve set, because if children realize one hour can be negotiated to two, they will try for more. And if they realize there are no consequences for breaking the rules, the rules don’t matter. In some cases, children who feel like they have a problem may volunteer to cut down on phone time or go without it for a period, but they are very much relying on the parent to help enforce those boundaries. The developing mind has less impulse control than the adult mind, and the temptation doesn’t necessarily reflect bad intentions on the children’s part. If a parent catches a child stealing devices or lying about use, this may be a different kind of conversation. In any case, the reason for setting the boundaries should be explained, as well. This may also open the way to examining why the child is playing games in the first place, and whether there are unhealthy reasons that can be mitigated. The solution for boredom, or not feeling good at anything else, may be to try out other hobbies. Loneliness may be another big factor, or fear of missing out, because these games tend to be social, multiplayer games. Parents can help children realize this may be an opportunity to be the one to invite others out to things, rather than feeling anxious about possibly not getting invited somewhere and playing games to deal with that anxiety. Adair also cautions parents not to make accusations like “those aren’t your real friends,” because in many cases the gamer is playing because they don’t have other friends. They may have also suffered from bullying, and the relationships they’ve made online are the most meaningful ones they have. For some kids, not playing video games means a sudden and giant void appears in their lives. They will be scared, act out, and need the parents’ support to navigate this great unknown and form some structure. Adair also cautions parents about the emotional strain it can bring on themselves while dealing with, perhaps, an emotionally volatile teenager who is struggling to stop playing video games. It’s important that the adults have a support system, too. Some experts recommend telling a number of people in their lives about what is going on before they begin to tackle it, so they have people to talk to. Adair also recommends joining an online forum and community of other parents going through the same thing. Electronic fasts, internet detoxes, or going screen-free completely for some extended amount of time is recommended when the problem is severe. The more difficult it seems to stop playing (or the bigger a meltdown the child has), the bigger the dependency and the more reason there is to work on it. Psychiatrist Victoria Dunckley, who has done extensive research on how screens overstimulate the mind, has written a “reset” guide for four weeks, which provides enough time for the mind to calm down, re-regulate, and stabilize. In more complex cases, the reset period needs to be longer, sometimes in order to clarify diagnoses with a medical professional. When it comes to addiction, Adair recommends a 90-day detox, based on detachment theories that hold that this is the appropriate amount of time to spend letting go, creating a very evident contrast (life with gaming versus life without), and forming new habits. It’s also to provide enough time to reset one’s dopamine levels, which have likely become numbed to real life after extensive periods of acclimating to video games. Catherine Yang is an arts and culture reporter at The Epoch Times. For some parents, the decision to send a child to Outback, is a last resort. The more smart devices in your vicinity, the more radiation you’re being exposed to. Getting likes and accumulating a vast social following are not genuine indicators of our worth as human beings. Greek mythology offers insight into our love of technology. As you might strategize the best use of your work time, the point is to do the same with your leisure time. These excursions coursed the very real and sometimes bumpy roads of human interaction, from which we learned to draft our own internal maps, in time.